Giving You The Full Package! Pattaya Hotmale is a local Gay Information Center that can fill you in on what's happening throughout Pattaya. Additionally they have Condo & House Sales and Rental property services. 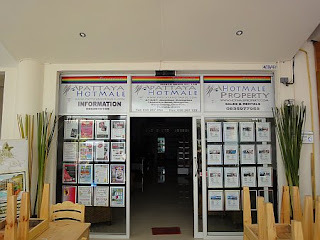 If you are looking for a long term stay in Thailand, they are a great place start. Drop in for a tasty Thai lunch or cup of coffee and Mike (The Owner) will be happy to answer any questions you may have. Closed Sundays. 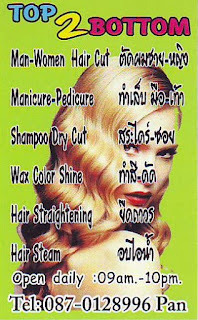 a Hair Salon for men and women. They are open daily from 9am - 10pm.